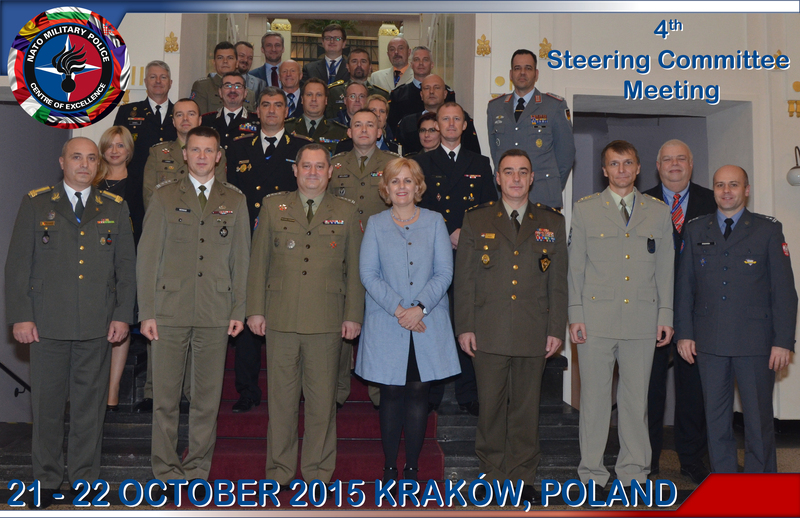 The 4th NATO Military Police Centre of Excellence Steering Committee Meeting (NATO MP COE SCM) was held in Kraków on 20-22 October 2015. 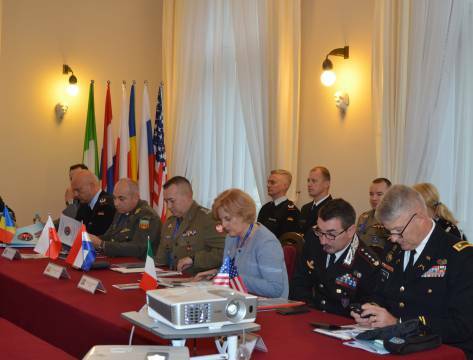 It was accompanied by two co-ordination meetings with representatives of the Supreme Allied Command Transformation (SACT) which aimed at defining the Centre’s training strategy and its future priorities within the scope of interest. Official delegations from 7 Sponsoring Nations (Bulgaria, Croatia, the Czech Republic, Germany, Italy, the Netherlands and Romania) and the Framework Nation (Poland) contributed to the deliberations. Furthermore, representatives of 2 potential Sponsoring Nations (SN) i.e. Slovakia and the USA, as well as of the Counter-Intelligence Centre of Excellence (currently undergoing the establishing process) were invited. 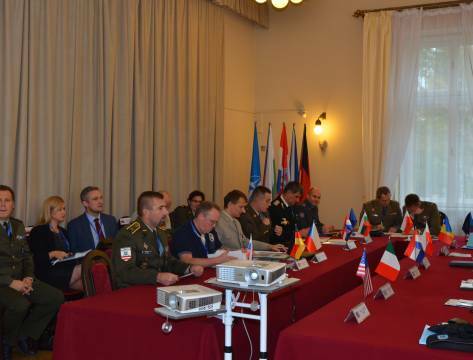 During the two-day assembly, the NATO MP COE Programme of Work (POW) and Budget for 2016 were approved, also the Medium-Term Financial Plan (2016 – 2020) was presented and noted. Subsequently, delegates endorsed amendments to the Centre’s Job Descriptions (JDs). 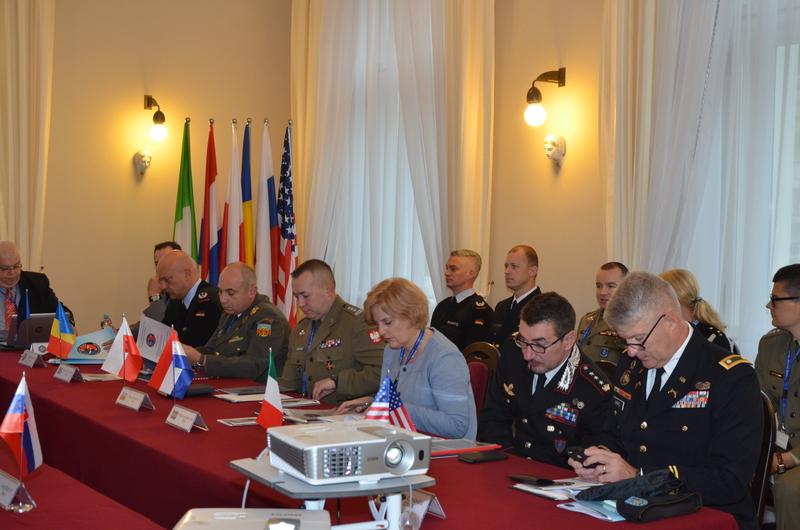 The gathering was chaired by COL Rafał A. NOWAK, Deputy Director of the Military Foreign Affairs Department, Ministry of National Defence Republic of Poland. 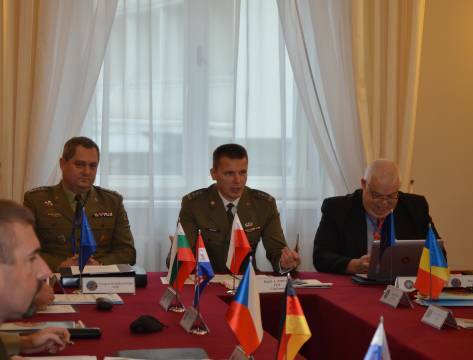 On the first day of the meeting, the NATO MP COE’s Director, COL Grzegorz WASIELEWSKI introduced information on the most essential endeavours completed by the NATO MP COE in 2015, and framed main targets for the next year. 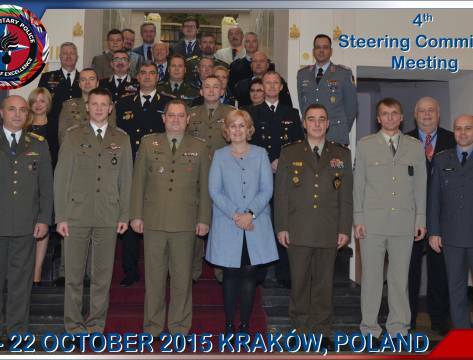 Projects of the following plans to be approved were presented respectively by: the NATO MP COE’s Deputy Director, LTC Thorsten STOLL - the 2016 POW; Financial Controller, LTC Leszek GRABOWSKI – the Budget Proposal and Cost Share Calculations for FY 2016, and Medium-Term Financial Plan for 2016 – 2020. 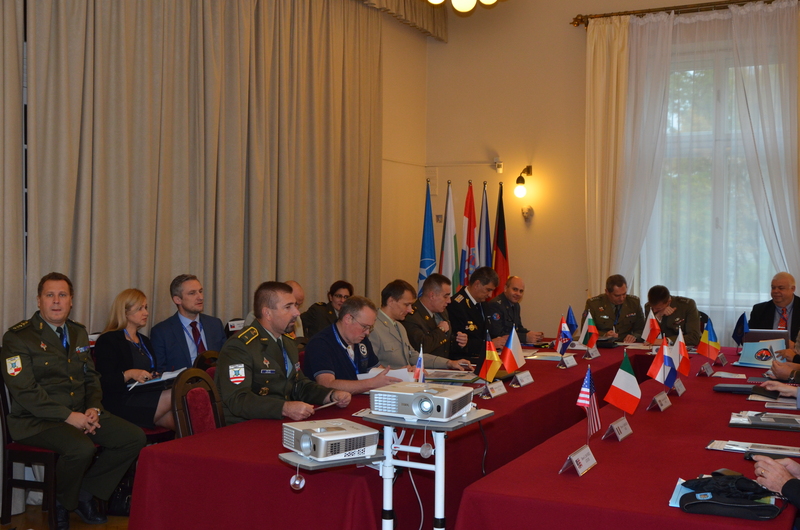 Next, COL WASIELEWSKI submitted and justified proposals of amendments to the NATO MP COE JDs. All of the aforementioned documents were unanimously accepted by the Steering Committee members. On the second day of the assembly, a number of substantial details regarding the Centre’s activities and way ahead were delivered. LTC Stefan BARRY (SACT MP SME) described the vision of the NATO MP strategic training development, and LTC STOLL briefed on principle issues concerning quality management and assurance process that will be subject of verification by NATO in the second half of 2016. Then, CAPT Maciej GUTOWSKI, who is assigned to the Co-operation and Internal Evaluation Section of the Education and Training Branch, depicted the Centre’s achievements to date, and anticipated developments in the sphere of Advanced Distributed Learning and Virtual Battlespace 3 within e-learning. 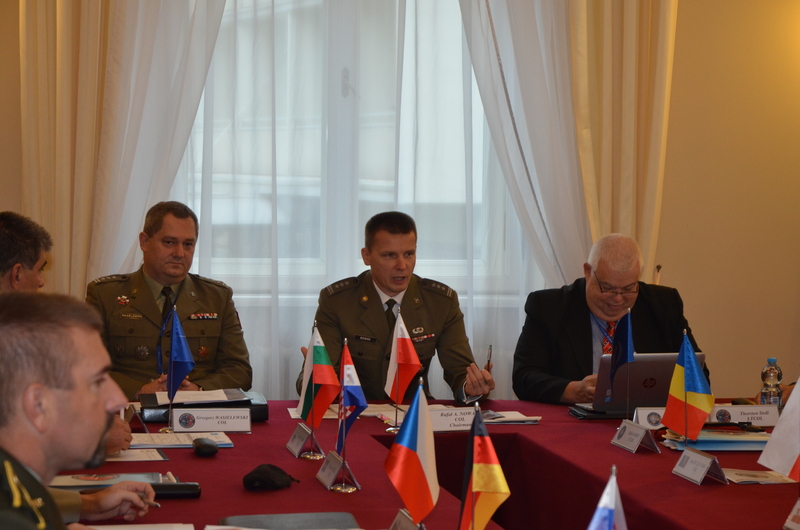 Upon the conclusion of the meeting, the NATO MP COE’s Director and Michał PARDO, the Centre’s LEGAD, provided proposals of changes to the NATO organisational structure and provisions of respective Memorandum of Understanding constituting the legal pillar of the NATO MP COE’s operation. Suggested amendments, aiming at facilitating the process of adapting the Centre’s structure to the arising needs, were initially approved by the majority of SNs and shall undergo the required legislative process. Proceeding with those matters according to the tentative calendar would allow the Centre to operate within the altered structure from April 2016.